Tree damage from Warsaw, NC, February 24, 2016. On Wednesday, February 23rd, severe weather moved through the area spawning two tornados. 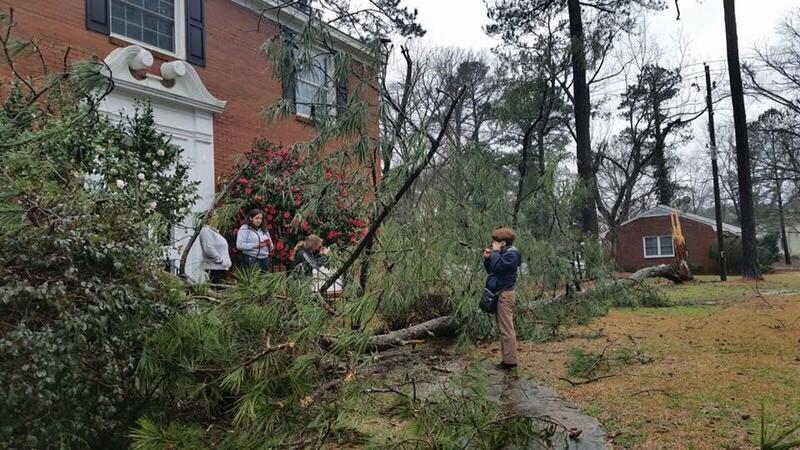 We speak with Warning Coordination Meteorologist with the National Weather Service John Cole about damages from the storm. 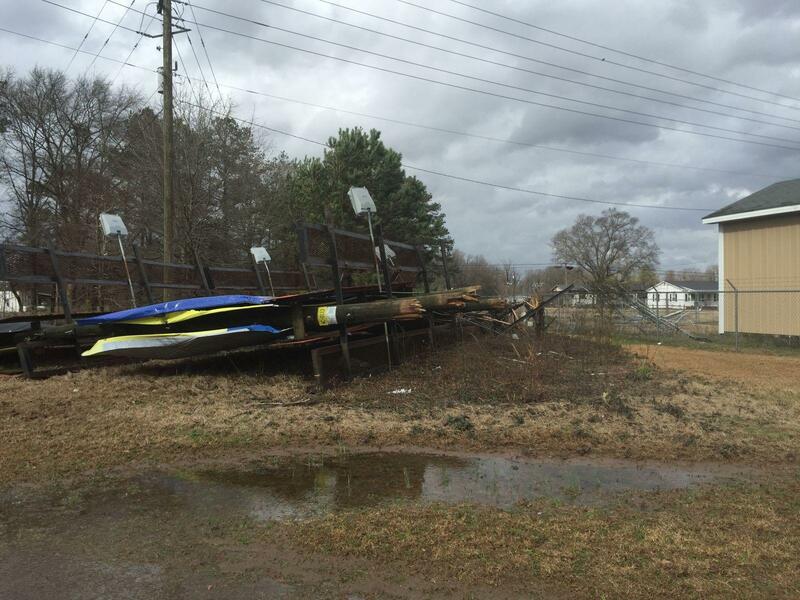 Damage to a billboard west of Lagrange, NC, February 24, 2016.